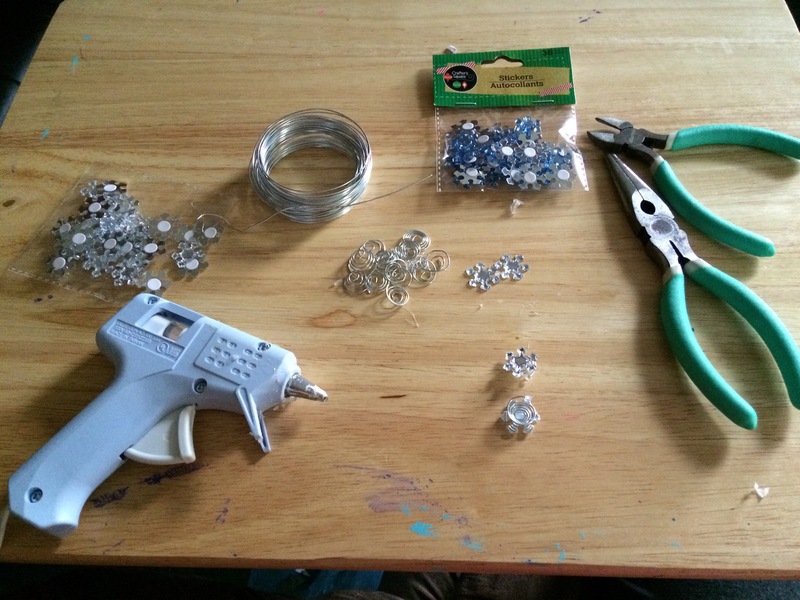 Like you all know, this Saturday is my daughter’s Frozen Birthday Party. She has her Elsa gown and shoes. 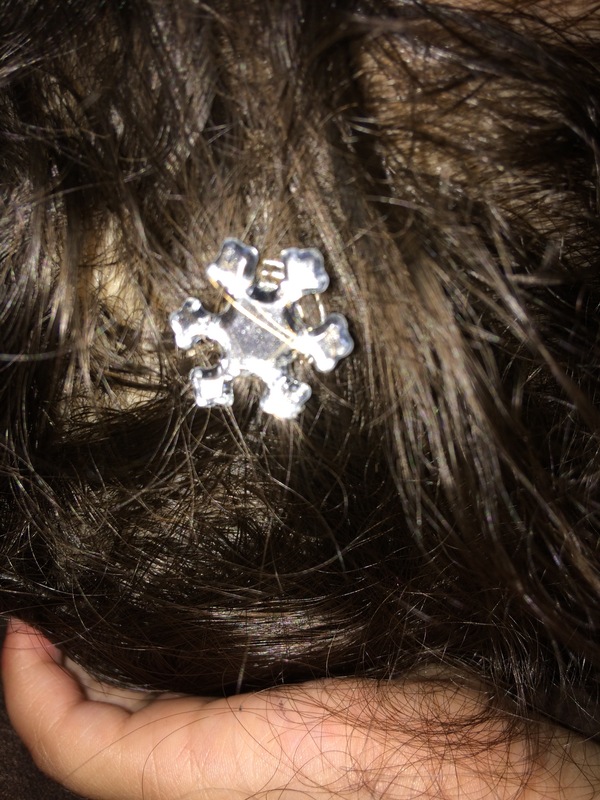 But, I was thinking in doing some snowflakes hair pins like the ones Elsa wear in the movie. 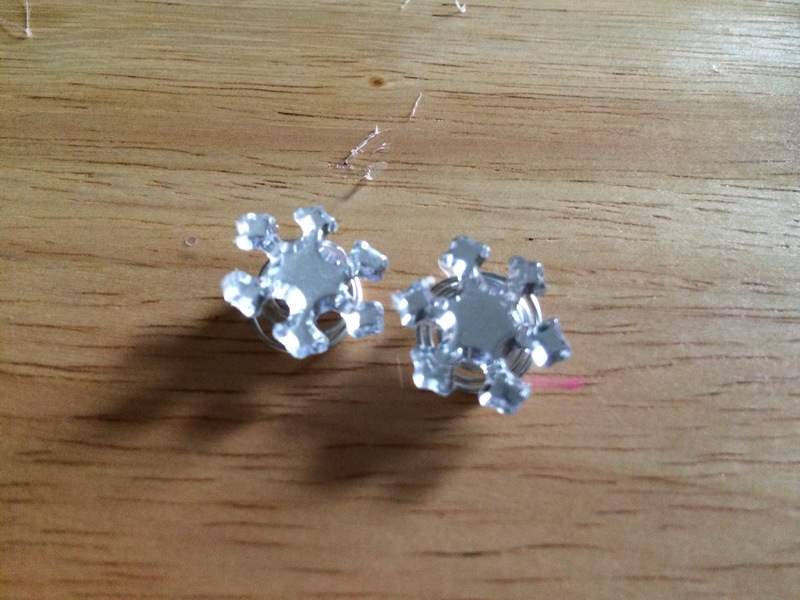 I was thinking on doing them with foami, but one day I went to Dollar Tree Store and saw this beautiful acrylic snowflakes that where the perfect size for the hair pins. So, I decided to buy them in two colors: clear and blue. They are perfect. 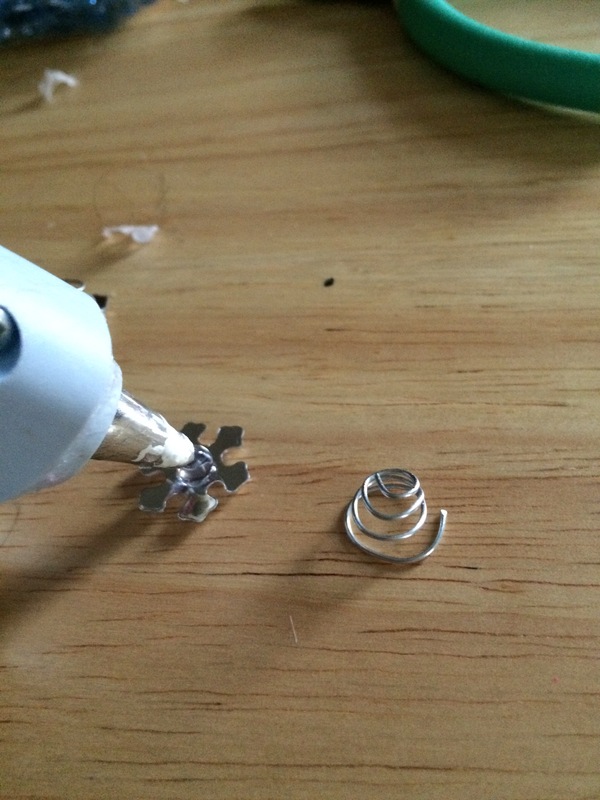 I wanted to make spiral hair pins because I remembered I had some of those and they were beautiful because when you put them on your hair you only can see the snowflake or the flower, or any shape you want in yours. Without any more talking, let’s learn how to do them. 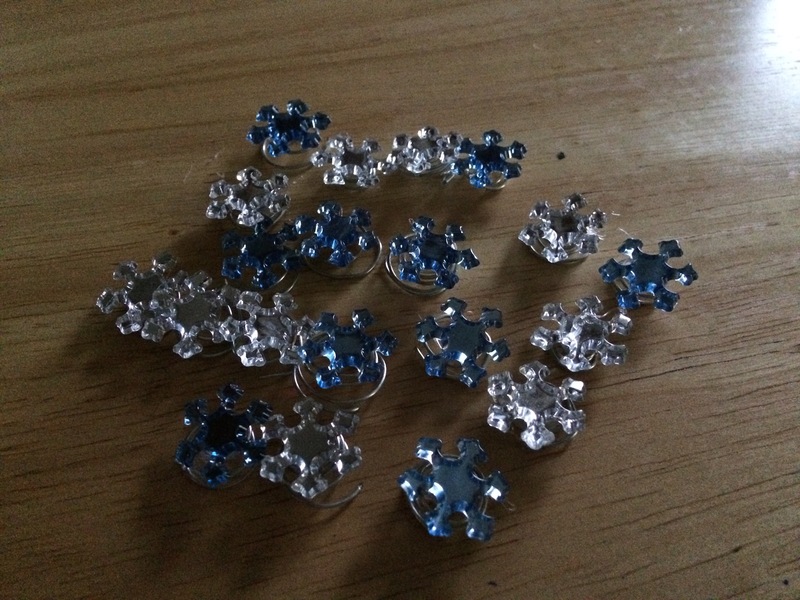 Acrylic snowflakes or any other shape you want. 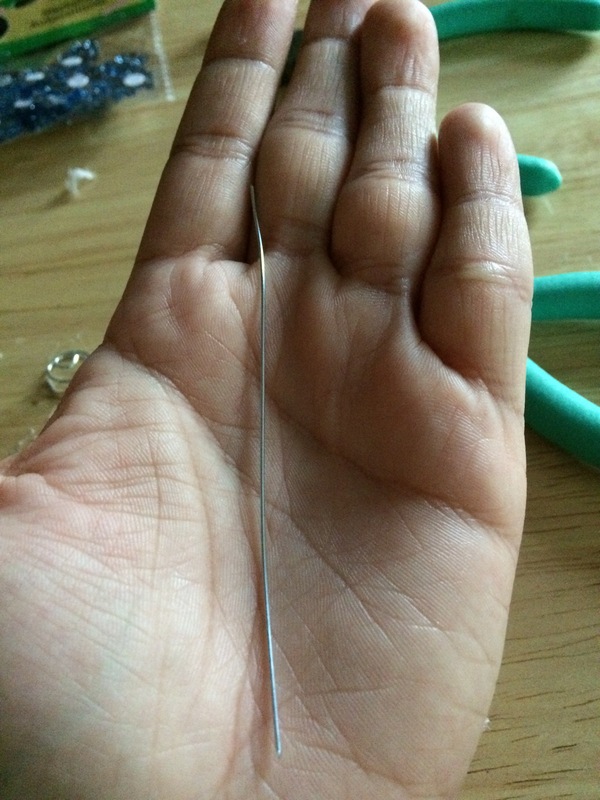 Cut the wire in 3″ -4″long pieces. 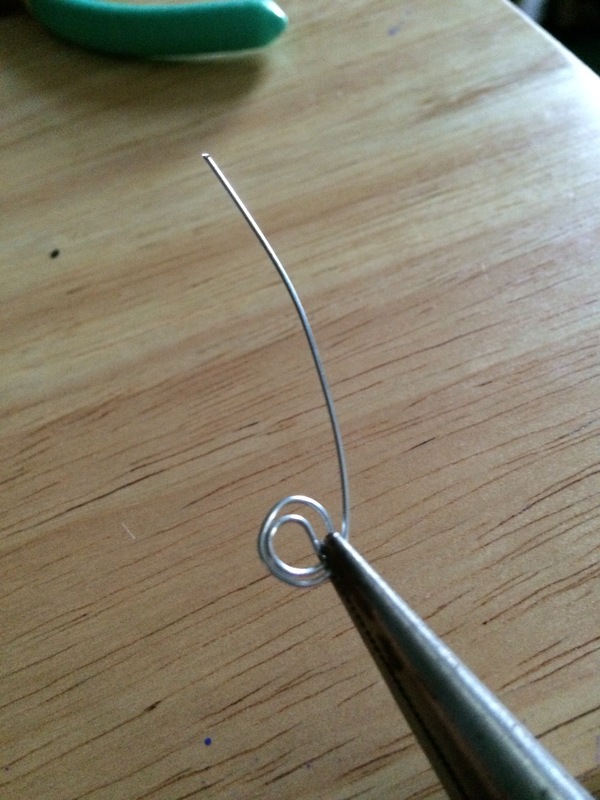 Take one piece of wire and start bending it in circular motion with tweezers until you make an spiral. At this time the spiral will be flat. 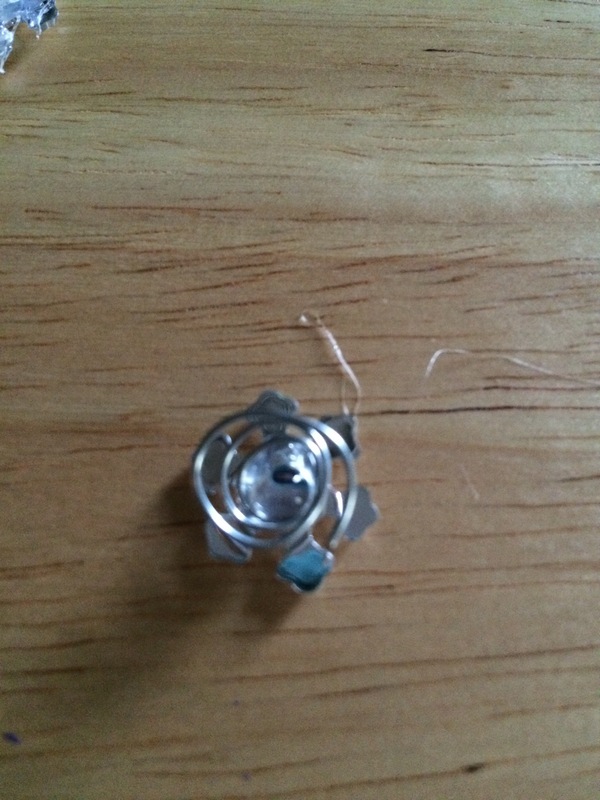 Pull from the center until it form like a little tree. With the center up. 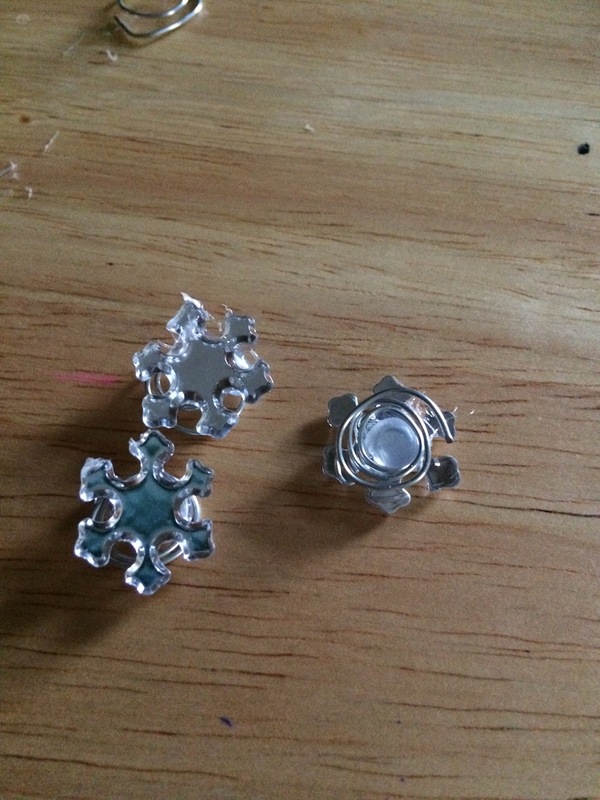 Put some hot glue in the snowflake and press yn the center of the spiral until it dries. 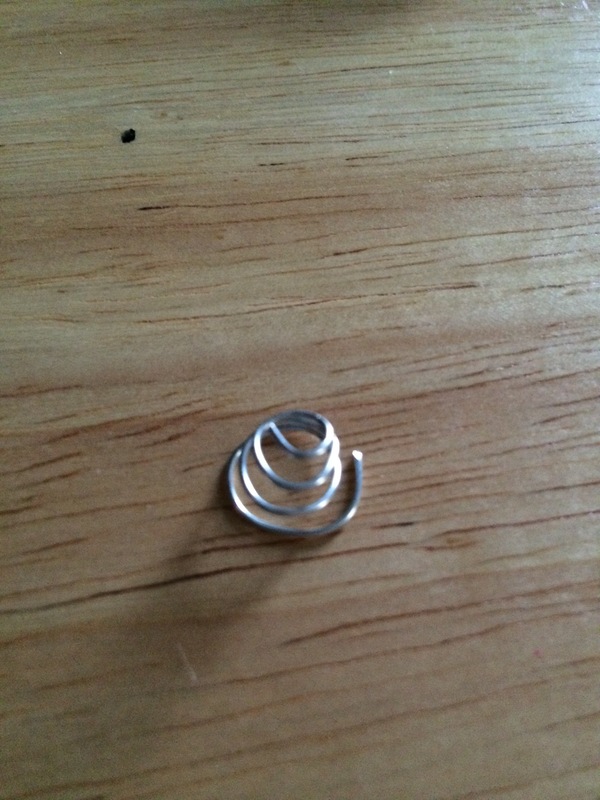 Push back the spiral and there you have a spiral hair pin. 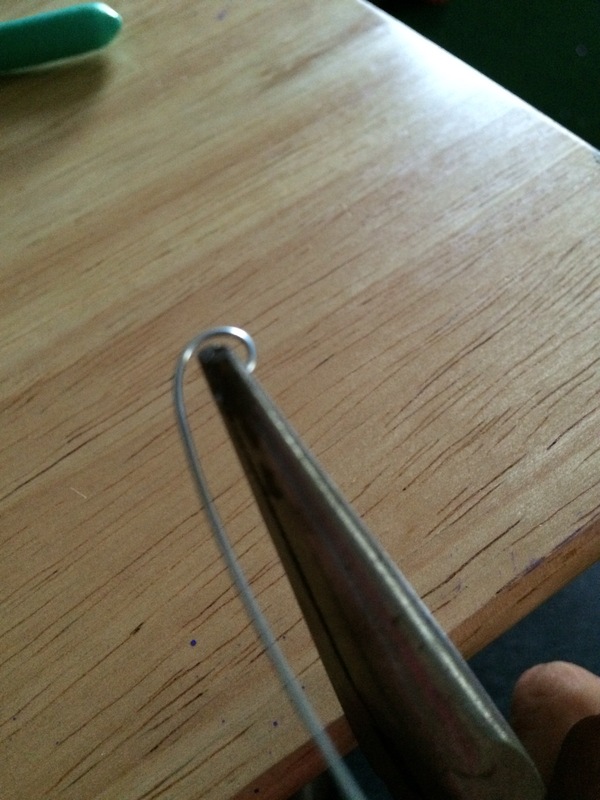 To put it on you just have to put it in your hair in circular motion until the wire is not visible. Hope you liked this post. You can give them as Christmas gifts or like a Frozen party favor. Keep sharing and put your pics on the comments if you tried it.